Periodontal disease is the leading cause of adult tooth loss in America, affecting nearly half of all adults in the country. Understanding how gum disease affects your smile and the rest of your body is an important part of treating it; at Anderson Family Dental, we help educate our patients about periodontal disease and its treatment in order to promote more effective, long-lasting results. From our office in Colorado Springs, CO, Dr. Erick T. Anderson and Dr. Richard L. Anderson provide patients suffering from advanced gum disease a treatment that has been proven extremely effective: periodontal therapy. How Does Periodontal Therapy Work? Plaque is the sticky, colorless substance that accumulates on our teeth throughout the day. As plaque collects along the gum line, the bacteria it contains causes inflammation of the gingival tissue. Over time, deep pockets form between the gum tissue and the teeth, providing bacteria an ideal place to hide and continue causing inflammation. 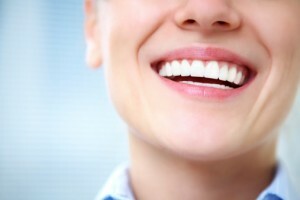 As the body’s immune system fights to eliminate the infection, the connective tissues within the gums deteriorate, as does the bone within the jaw. Eventually, teeth become loose and may even fall out. With periodontal therapy, the doctors at Anderson Family Dental remove the infected tissue and any bacteria present, halting the progress of the infection. In cases in which the gum tissue has receded significantly, gum grafts may be necessary in order to restore the appearance and function of the gum line. We are always happy to discuss the status of your condition and your proposed treatment plan with you, ensuring that you feel comfortable and fully informed along every step of the way. We are your trusted partners in your journey toward a healthier smile and improved well-being overall. Have you experienced any of the common symptoms associated with periodontal disease? It’s not too late to seek treatment and drastically reduce your chances of developing the complications listed above. Contact our office in Colorado Springs, CO today to schedule your appointment with Drs. Erick T. Anderson and Richard L. Anderson. We genuinely look forward to helping you treat your periodontal conditions so that you can enjoy the full benefits of a healthy, beautiful smile. Our warm, welcoming practice proudly serves families from throughout Colorado Springs, Stratmoor, Falcon, Black Forest, Fort Carson, and beyond.